Although pregnancy is the same for women worldwide, their safety varies greatly depending on where the women live and the type of medical care they receive, if any. Sepsis is an illness that can develop in some pregnant women, as well as in women who have recently delivered a baby or babies. 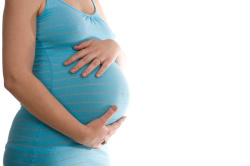 Sepsis that occurs during pregnancy is called maternal sepsis. If it develops within six weeks of delivery, it is called postpartum sepsis or puerperal sepsis. Sometimes incorrectly called blood poisoning, sepsis is the body’s often deadly inflammatory response to infection. Sepsis kills and disables millions, more than breast cancer, lung cancer, and stroke combined. How does sepsis occur in pregnant and postpartum women? Sepsis can occur because of an infection related to the pregnancy or one that is totally unrelated, such as pneumonia or a urinary tract infection (UTI). An article published by the American College of Emergency Physicians in 2012, said that women with maternal sepsis can make up as many as 30% of pregnancy-related cases admitted to intensive care units in countries like the U.S. The authors found that the most common infections that triggered maternal sepsis were caused by bacteria such as E. coli. Miscarriages (spontaneous abortions) or induced abortions: Infections are a risk after any miscarriage or abortion. Non-sterile abortions,those that may be done outside of a healthcare facility, are a particular risk. Women who have had one should watch for signs and symptoms of an infection (lasting or increasing pain, discolored or odorous (smelly) discharge, abdominal tenderness, high temperature, fatigue, feeling unwell). Cesarean sections: Sepsis can develop after any type of surgery. Cesarean sections are major abdominal surgeries with all the associated risks. See Sepsis and Surgery for more information. Prolonged or obstructed labor: An unusually long time of labor or labor that stops progressing. Ruptured membranes: The longer the period between the “water breaking” and the baby’s birth, the higher the chance of an infection. Infection following vaginal delivery: Although not common in the developed world among women who give birth in healthcare facilities, infections are very common in the developing world. Mastitis: Infection in the breasts can trigger sepsis. Any woman who is pregnant, has miscarried or aborted, or who has delivered a child is at risk of developing maternal or postpartum sepsis. However, some women do have a higher risk than do others. This includes women who have a history of congestive heart failure, liver disease, or lupus, according to a report presented at the American Society of Anesthesiologists Meeting in 2012. Is sepsis hard to detect in pregnant or postpartum women? Diagnosing sepsis in a pregnant woman or one who has recently given birth can be challenging. Pregnancy and delivery causes many changes in the body, including a faster heart beat, changes in blood pressure, and faster breathing. Usually, these are signs that may alert a healthcare provider that there may be something wrong, such as an infection. Also, many women get chills and sweat heavily after giving birth. They may also have pain, or feel dizzy or light headed. It also may be more difficult to diagnose infections in pregnant and postpartum women. For example, urinary tract infections usually cause a frequent need to urinate, but this can happen because of pregnancy alone. So if a woman is going to the bathroom a lot, she may just chalk it up to being pregnant and not realize that she has an infection.